Lynnette Shaw is one of the most experienced activists in the medical cannabis movement. And who mentored her? 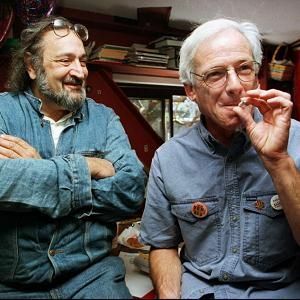 The legends Jack Herer and Dennis Peron. Lynnette Shaw is one of the most informed, independent, and experienced activists within the medical cannabis movement. A resident of Marin County, California, she almost single-handedly established the operational and business standards by which thousands of cannabis dispensaries operate today in the United States and Canada. And who mentored Shaw? That would be cannabis legends Jack Herer and Dennis Peron. Selling cannabis is in Shaw’s DNA. A native Californian, she became involved in the cannabis culture early in life, selling pot at the tender age of 14. Coming out of the ‘50s, little girls weren’t allowed to have a paper route. Little girls weren’t allowed to cut the lawn for the neighbor. We couldn’t even wear pants in school. It was a completely suppressed culture from which I escaped. In 1979, when in her mid-20s, Shaw moved to Hollywood to make it in the entertainment industry. She made the right connections and began slinging cannabis to celebrities. I had the best pot in Hollywood. Nobody had pot in Hollywood in 1979, you know? I started selling pot to all the rock stars at the Rainbow Bar and Grill on the Sunset Strip in West Hollywood. That’s where I met John Belushi. Shaw was hired by Belushi in 1981 as a backup singer in the famous The Blues Brother band. I was in the band for one month and then John died. Shaw played with the band about a dozen times. Ironically, she was bringing cannabis to Belushi to “get him off the hard stuff” the night he died. Jack was at his prime. He was the most magnificent public speaker… just stunning and inspirational. Shaw had never heard the term “hemp” prior to meeting Herer, who gave her a copy of his pinnacle book right before she served 80 days for a possession conviction for 11 pounds of cannabis. “Read this so at least you know what you’re fighting for,” Herer told Shaw. In 1991, Shaw began working for Dennis Peron’s cannabis club in San Francisco. She performed more than 6,000 patient intakes for the club over several years of service. Dennis said, you need a power suit and high heels and a shorter skirt and we’re going to go to the state capital and you’re going to lobby the state senators and we’re gonna get these pot bills passed. The combined efforts of Peron and Shaw – in addition to those of hundreds of other dedicated cannabis legalization activists – ultimately resulted in the passage of Proposition 215 in 1996. With this single ballot initiative, California became the first state to legalize medical cannabis for qualified patients, putting Shaw and Peron into the history books. Click here to hear Shaw’s 2016 Seattle Hempfest speech.